Fodens Band has had a record breaking year (2007) under the helm of Gary Cutt. In addition to the vast amount of concerts in the UK and abroad, the band have been the most consistent band on the contest stage. At the beginning of the season, in March, Fodens won the Northwest Area Championship for a second consecutive time making them the most successful band to have played at that contest, winning a record 14 times. This qualified the band for the National Brass Band Championship held at the Royal Albert Hall in October, where the band finished second. In addition, the band are International Masters Champions 2007 and Whit Friday (Tameside) champions for a record breaking 6th consecutive time. The band also achieved a fully merited 3rd place at the British Open contest as well as a fantastic 2nd place at the ‘Brass in Concert’ championship. As well as having a very busy concert schedule, the band is committed to education and regularly run workshops for young players. 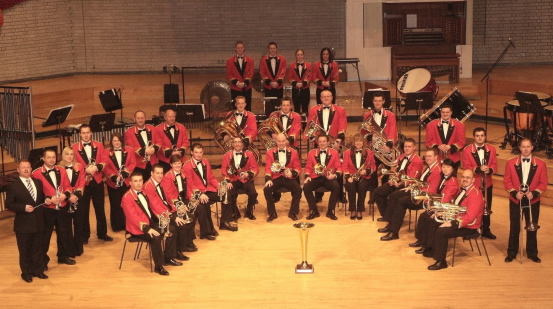 More information can be found at www.fodensband.co.uk.